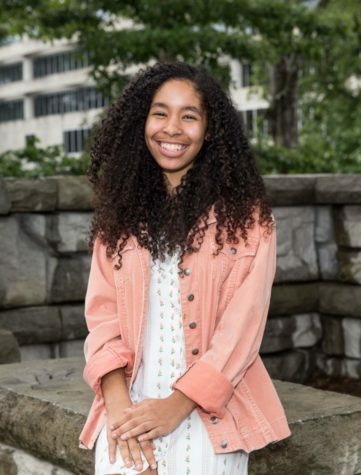 Leah Overstreet is a junior at North Atlanta High School who can be easily recognized by her head of curly hair, short stature and sharp tongue. It is her first year on the Warrior Wire staff and she is quite eager to trade shouting into the void for an actual audience. Some of her favorite past times are spewing feminist jargon, laughing at her own terrible puns, and eating cereal straight from the box. Some other things Leah does around the school are the spring musical, Creative Writing Club, Slam Poetry Club, and hopefully fencing this year because apparently exercise is important.